Amazon's annual mega-sale for Prime members is nearly here. This year, Prime Day is a 36-hour shopping extravaganza with over a million sales, starting on July 16 at 3PM EDT and wrapping up July 17 at midnight. As the name implies, you have to be an Amazon Prime member to snag these deals, but if you aren't already a subscriber you can sign up for a free trial to get access to every sale. Prime Day offers some great bargains, particularly on Amazon products and services from Fire tablets to Audible audiobooks. If you're in the market for an Amazon product this is probably the best time to buy, as Amazon promises the biggest deals yet on its Alexa line of products. But if you aren't in the market for all things Alexa, there will be plenty of other bargains on offer. Still, shopping on Prime Day has its hazards. You may think a sale that lasts for 36 hours gives you plenty of time to shop, but deals will come and go quickly throughout the day — with some selling out in minutes. That may mean you waste your day glued to your computer (or mobile device) as you try to find every bargain. And when you do find a sale you want, these speedy sales encourage you to click "buy" without thinking about whether you're getting a good deal or a mediocre one. It's easy to waste time and money on Prime Day. That's why it's important to tackle this sale with a plan. With literally millions of items on sale on Amazon for Prime Day (and even more sale items at other retailers who slash prices to lure you away from Amazon), you have to shop smart. It's easy to get overwhelmed by the sheer number of deals and miss out on the ones you actually want. If there are things you know you're in the market for, find them on Amazon now and add them to your shopping cart. Skip clicking the checkout button, because you're just putting them there to keep an eye on them. Whenever you open your shopping cart, you'll get a message if any prices have changed, so all you need to do is wait and watch — skipping the hassle of watching for every super-fast Lightning Deal on the site. But even if you don't have a specific list — maybe you know you want a new vacuum, but you're happy to go with whatever's on sale — a list will still keep you focused. One of the biggest money-wasters on Prime Day is shopping just because you see something on sale. It's all too easy to get caught up in the excitement and wind up with a pile of Amazon boxes and regret afterward. Amazon announces some bargains beforehand, but for everything else, you'll need to watch the website. On Prime Day, Amazon's homepage will be packed with sale items, but instead of scrambling to click "buy" on the deals available right now, you can preview upcoming sales and watch them. That way there's no stress of finding the single sale you want — just scroll through the list of upcoming sales and, with a single click, Amazon will notify you when the sale is live. You can do this through the webpage or the Amazon app, but if you're the type to stay glued to your smartphone the app may be easier. On the app, click "today's deals" to see current sales, then select the "upcoming" tab. Scroll through the sales and when you find one you want, click "watch this deal." As long as you have notifications enabled on your phone, Amazon will alert you when the sale starts. 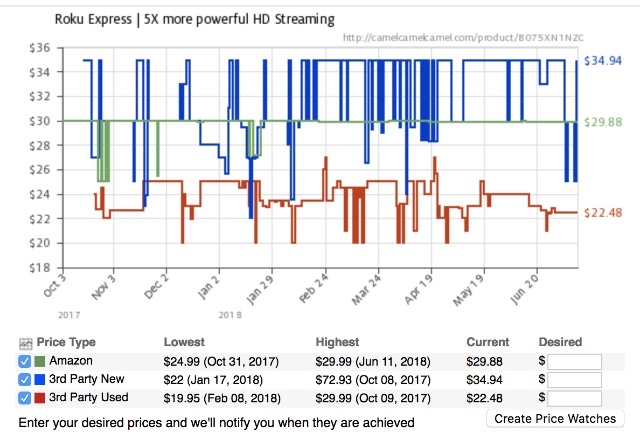 Watching deals on the website is pretty similar. Just go to Amazon's daily deals page to see all of the sales. Unlike the app, current and upcoming sales are all jumbled together, but scroll down until you find the "availability" option in the menu on the left-hand side of the page. To see upcoming deals, make sure "upcoming" is the only thing that's checked. Now you can scroll through every sale and click "watch this deal" to keep an eye on anything you want to buy. 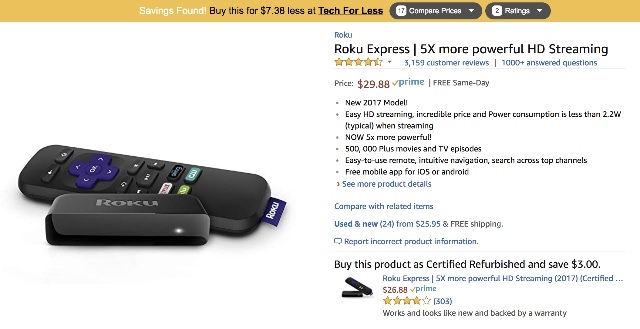 Installing the Amazon Assistant browser extension will give you notifications when any of your watched items are on sale (and right now, you can get $5 off your next $25 purchase by installing and clicking through Amazon Assistant to buy). Beyond notifying you of watched items, the assistant will compare prices around the web to Amazon's, which can be handy when you're shopping around for deals elsewhere. Whatever you use to browse Prime Day sales, you'll see a ton of items listed — which makes it really hard to find a deal you actually want. It's helpful to narrow the list by department — find the option under the filter menu above the list of sales in the app or in the left-hand menu on the website. Just tap on what you're interested in to get a list that's easier to browse. Another way to browse is through Amazon's Alexa voice assistant, which can have some exclusive sales. Just ask your Alexa device "What are my Prime Day deals?" to find out what's on sale. We will also be sharing the best Amazon Prime Day deals as we find them throughout the sale in our post The Best Amazon Prime Day Deals. PriceBlink is a price comparison tool that helps you see what prices around the internet are right now. It pops up a yellow toolbar at the top of every page to list where you can find the product at a better price. It even considers shipping and tax costs, so you get an apples-to-apples comparison. However, you can do this by hand, too — which may be ideal if you'd rather shop at a specific retailer. Just keep your preferred store's webpage open and be ready to hop back and forth to check prices. • $5 off an order of $25 or more by using the Amazon Assistant browser extension. • $10 off your next order if you spend $10 at Whole Foods. You have until July 17 to do this, and you don't necessarily have to use your $10 on Prime Day. • $5 off select deals for using camera features in the app. The details on this savings are a little sketchy, so watch your app for offers. For non-Amazon coupons, check out the Honey browser extension to automatically apply valid coupons to your shopping cart. There's no telling what will be available on Prime Day (or whether you'll be able to stack those coupons with other Prime sales), but it doesn't hurt to watch for them. 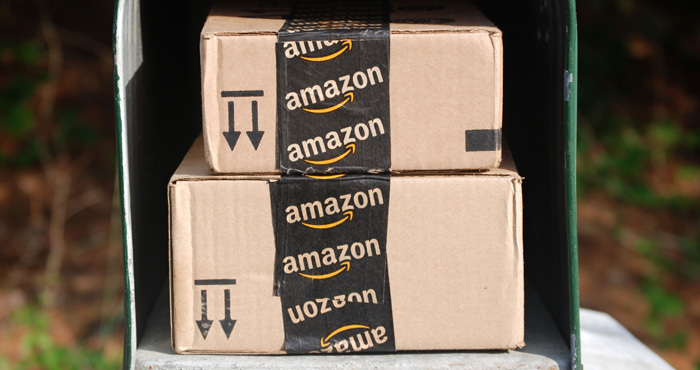 It may seem strange advice for shopping on Prime Day, but sometimes getting the best deals means shopping somewhere other than Amazon. There are plenty of big retailers having sales to compete, including Best Buy, Dell, eBay, Lowe's ( good place to shop for smart home gear), Target, Walmart and more. Some stores will also price match, though exact policies (and whether they'll match high-value Prime Day sales) vary. Still, if another seller will price match, you can get the same price and sometimes better. (eBay, for example, will give you an extra 10%.) In some cases you'll have to buy the item in advance and in other cases you'll have to prove the sale price when you buy (which can be tricky with Amazon's quick sales). The items usually have to completely identical and in stock to price match. Be sure to check the retailer's price match policy in full before you try to take advantage of it — most major retailers offer some kind of price matching. And the nice thing? You don't have to pay $119 per year to get a price match deal.